Hello! 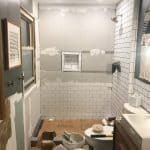 Last week I revealed our finished master bathroom and it has been so fun to hear how much you guys love it! 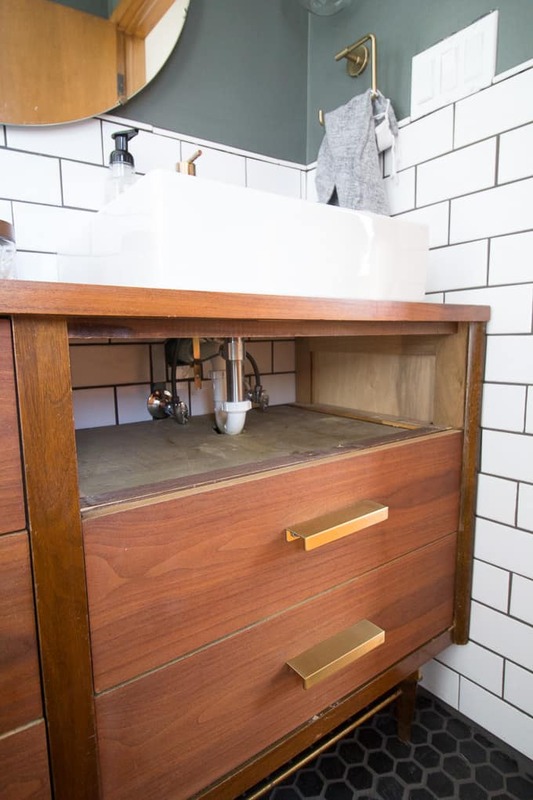 I’ve gotten lots of questions about the vanity, and today I wanted to share all the details on our Mid-Century Dresser into Vanity project. The same week that we closed on this house and we were demoing our bathroom, I came across a Craigslist post for this dresser with the perfect dimensions. 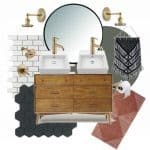 A typical double vanity is 60″ wide, but we didn’t have room for that. 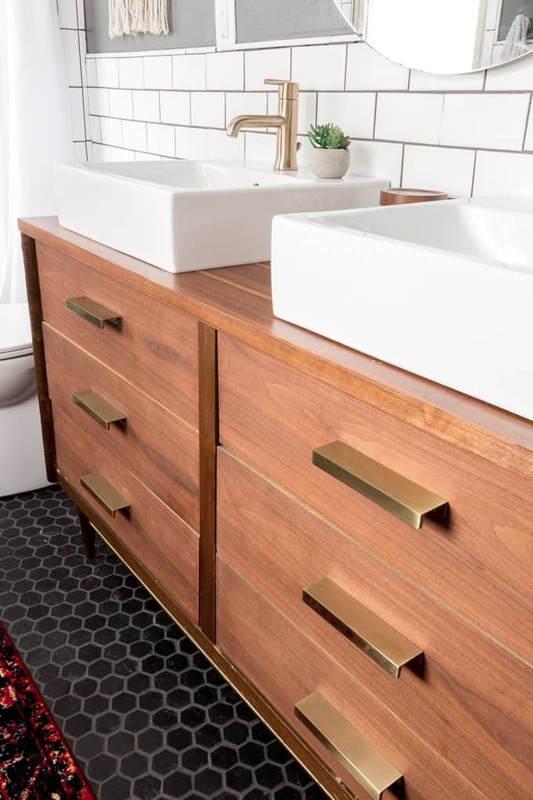 This dresser is 54″ wide which fits our bathroom perfectly. Typically I can find vintage dressers for under $100, but with this one being already refinished and the perfect size I splurged spending $300 on this one. Once I got the dresser home I protected the top with two coats of Minwax Polycrilic in their satin finish. **post contains affiliate links**. Next came the scary part, drilling holes in this beautiful dresser for the drain. 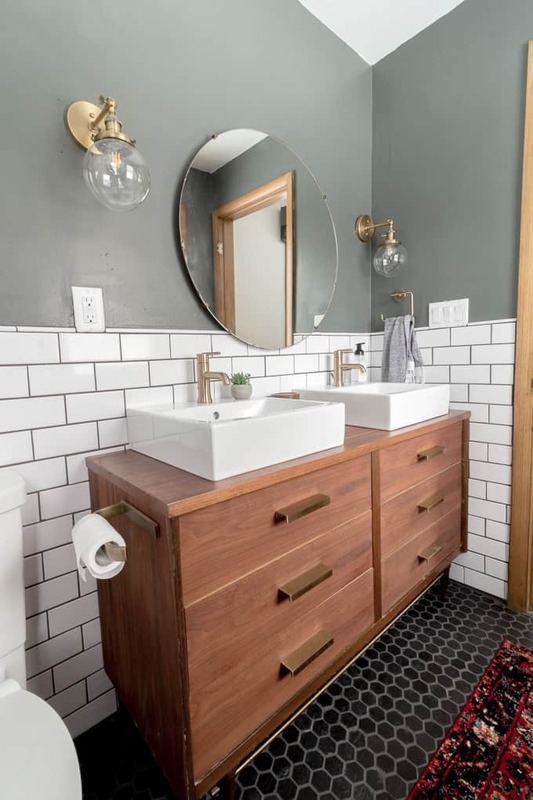 Originally I wanted to to use a sink like this one from ikea, but that would have meant cutting out a large portion of the top of the dresser. 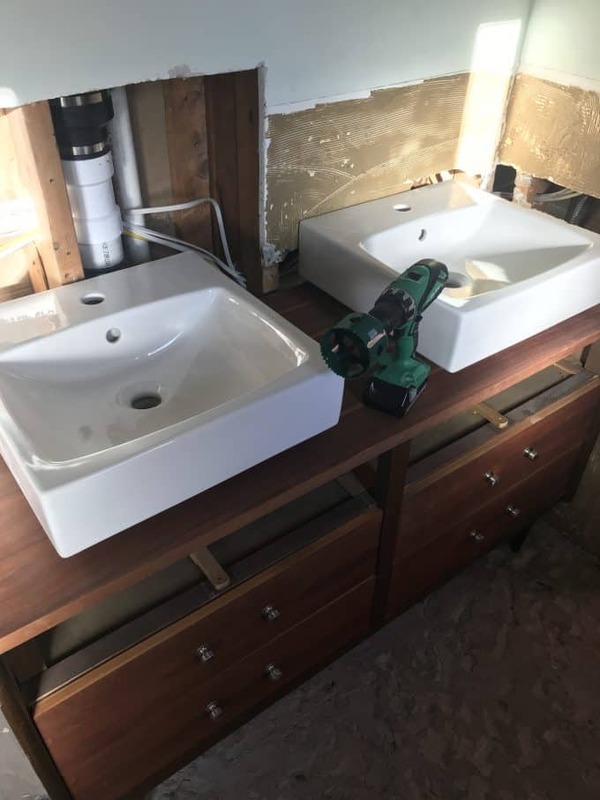 Instead I purchased two Tornviken sinks which only meant cutting a smaller opening. 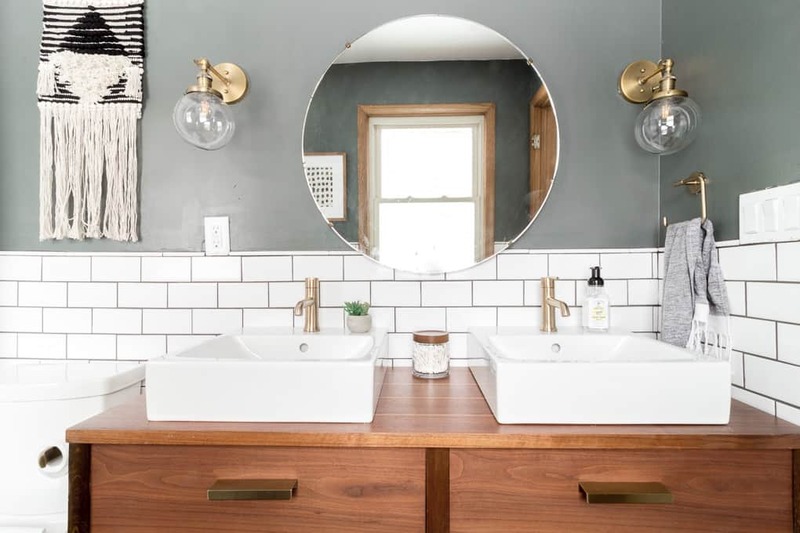 If you don’t have an Ikea nearby I found this sink on Amazon that is very similar. I placed both sinks on the dresser and marked where the holes needed to be. 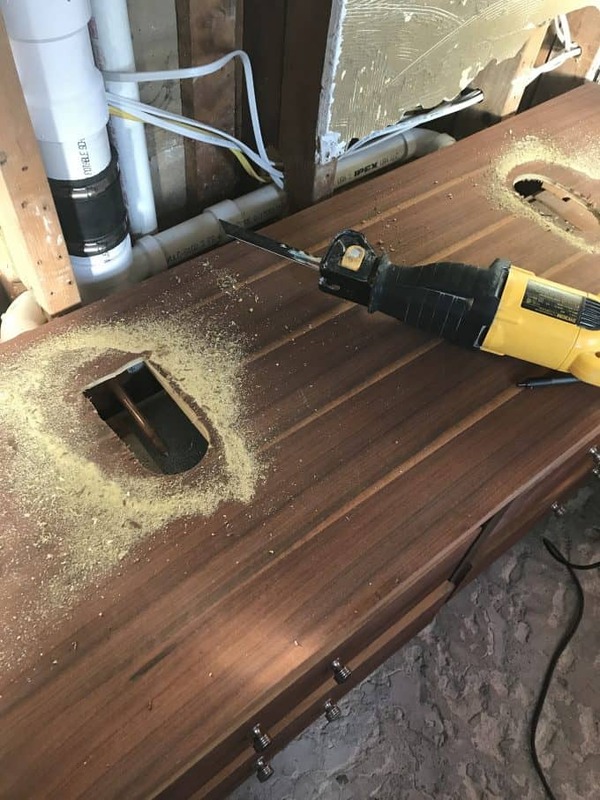 I used a 3″ hole saw to cut the back and the front of the opening, and then used a sawzall to connect the two openings. 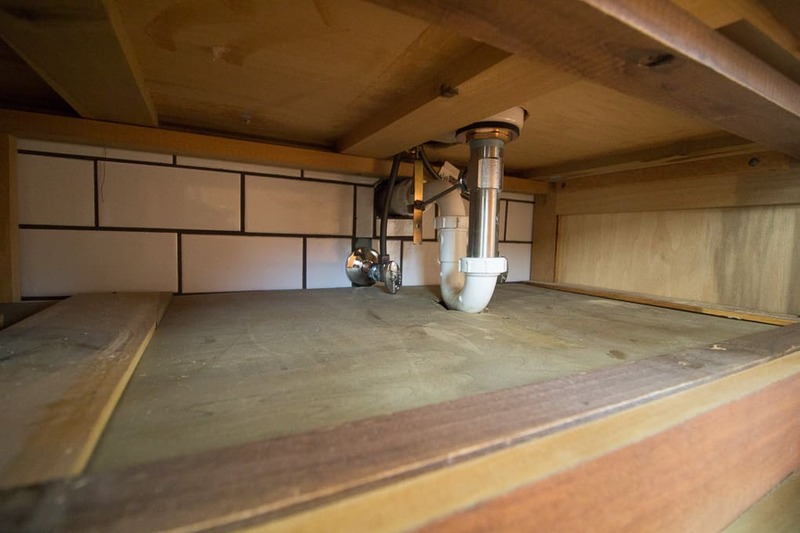 This allows for the drain and the pop up installation. I should note that we chose NOT to use Ikea’s space saving p-trap. 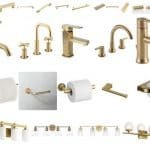 This is because I wanted to use the brass brass pop-up that came with our faucet. If you use Ikea’s p-trap you have to use their stainless grate drain. 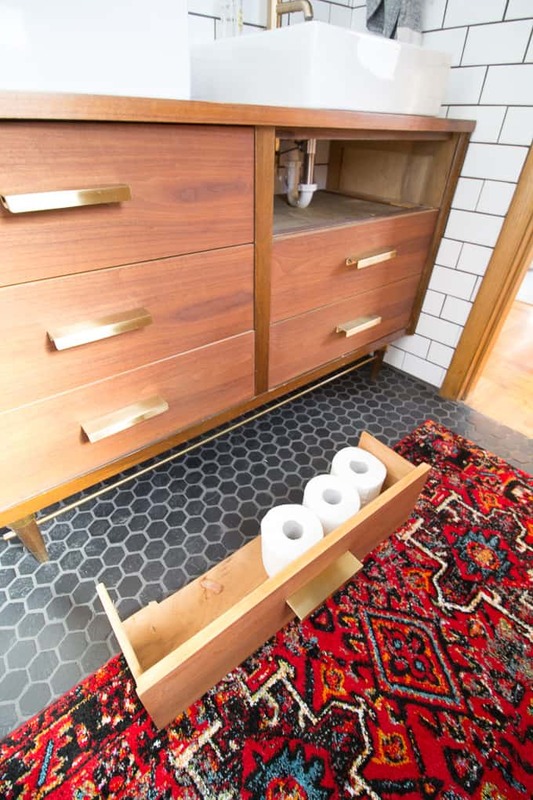 Because we went with a traditional p-trap, it meant that we sacrificed most of the top drawer to the drain. I just used a hand saw to cut the entire back half of the drawer off. At some point I’d like to add a new back to the drawer. You’ll notice we also had to cut a bit into the top of the next drawer. 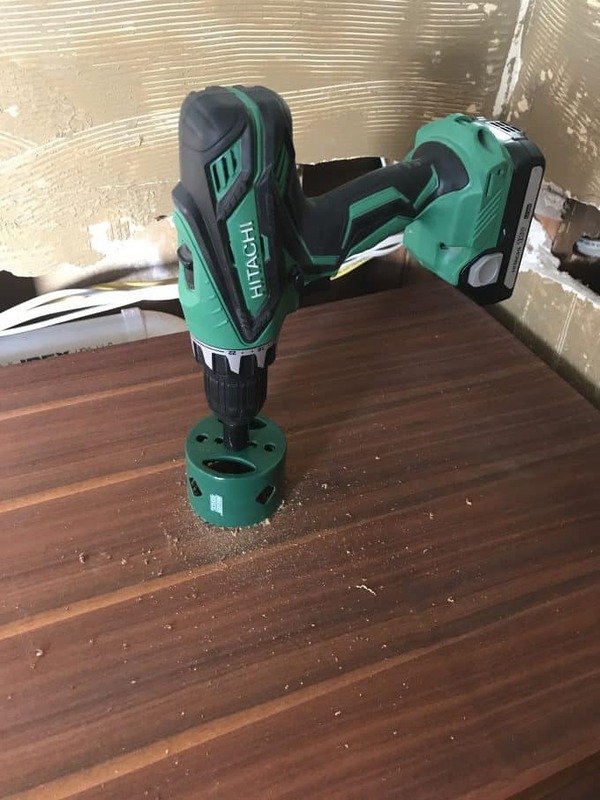 It doesn’t impact anything, but this was to make the p-trap fit. When our plumber installed the sinks, he just adhered the sinks to the vanity with a line of caulk adhesive so that they don’t move. I added these pulls to the dresser to modernize it. I just love the way that the brass pops against the wood tones. Now that the bathroom is done I am SO happy that I went with a dresser rather than a traditional vanity. 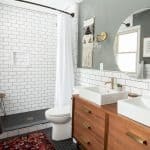 I love the way it merges old and new, and I love the feeling of a piece of furniture in the bathroom. Thank you so much for stopping by today! 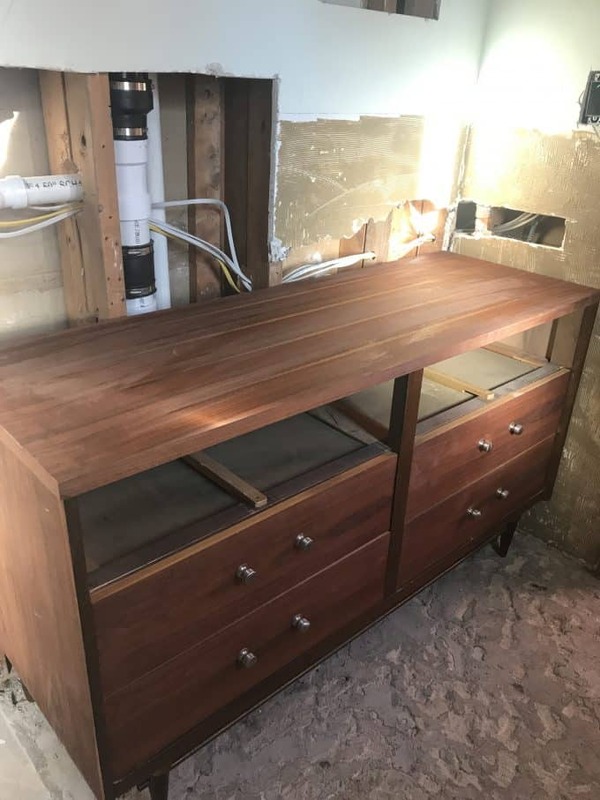 I hope you love the way that I was able to repurpose a dresser into a beautiful vanity! Have a wonderful day!